The lottery starts with 52 playing cards individually sealed in manila envelopes numbered 1 through 52 and secured in a display case. Nobody knows which envelope contains the Ace of Spades – until the lucky winner catches it! When tickets are purchased supporters will be asked to pre-select an envelope number on their ticket stub. 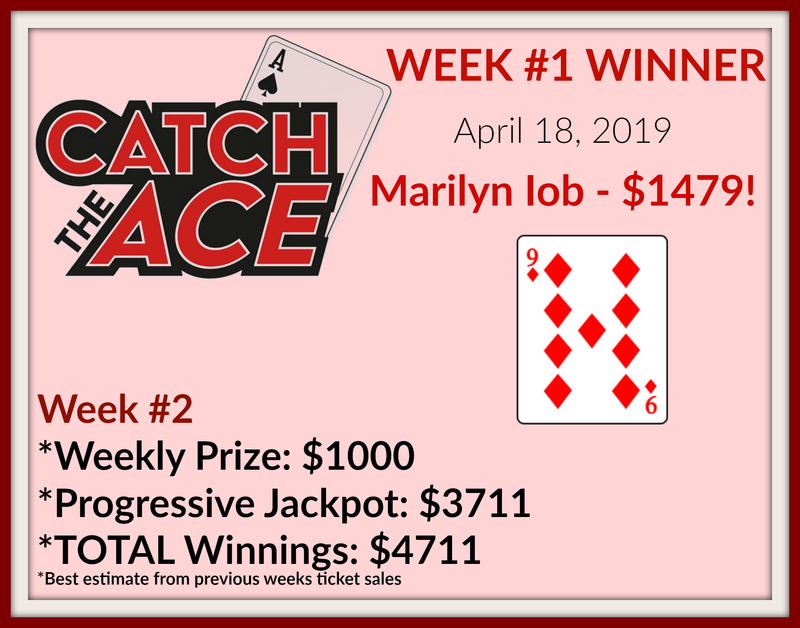 The lucky weekly winner takes home 20% of that week’s ticket revenues and the envelope number selected on the ticket will be opened to reveal a playing card. If the card is not the Ace of Spades, the card will be destroyed and the lottery continues for another week. If the card is the Ace of Spades, the weekly winner also win the progressive jackpot! 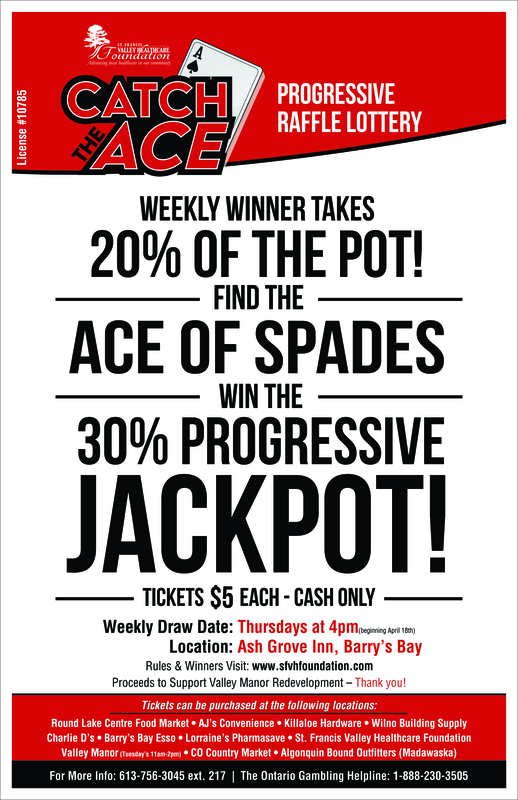 The progressive jackpot grows each week with 30% of weekly ticket sales revenue being added in. For complete rules and regulations click the link below. Please feel free to contact a member of our Team for assistance. We’d love to hear from you! 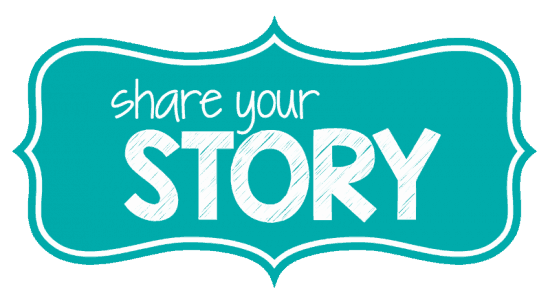 Share Your Story….We’d love to hear from you! If the St. Francis Memorial Hospital, Madawaska Valley Hospice or Valley Manor holds a special place in your heart because of a personal experience or that of a family member or friend, we would love to hear from you! Regular donors since moving to the area many years ago, Nels and Joan Leeder made the decision to look at their investments as a way of future planning for additional support for the Hospital they both valued. The following message was written by a patient of St. Francis Memorial Hospital. In honour of all who work, volunteer, visit, and have stayed as patients at SFMH, he has registered a star which he calls Star of Love. From The Star Registry to allat SFMH. This star that was purchased, a star that can be seen in the night sky is for a very special Hospital. It is for all who work, visit, volunteer, or had a brief or long stay. It is also to the ones who were not so fortunate but will be remembered in the hearts and minds of those who were either family or friends. This star is to all the staff that have made many peoples lives both better and their stay memorable and a happy one, including mine. To the people at SFMH, may you always continue to shine bright for those in need and with just a friendly smile. P.S. 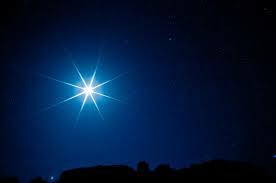 I hope you have a very bright star available so all can see it. The St Francis Memorial Hospital is pleased to offer complimentary online/Wi-Fi access for patients and their families, helping them keep connected to friends, family and community news. 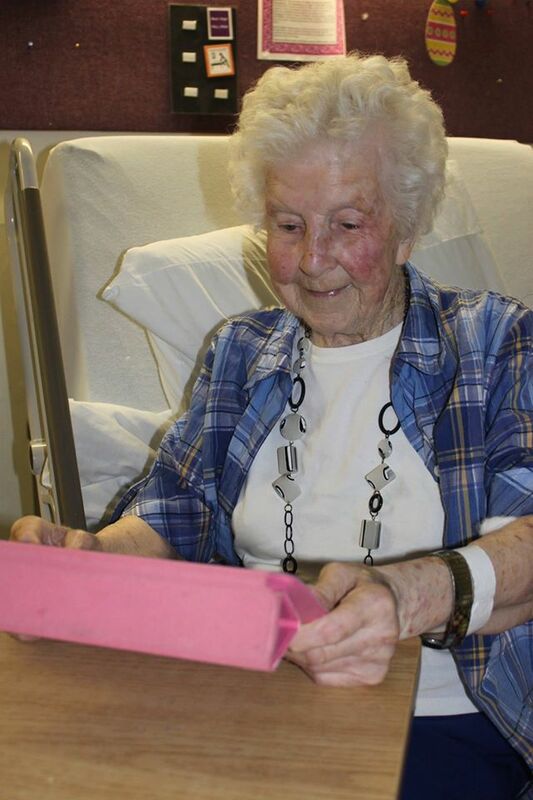 Check out patient Mercedes Conway, who is 96 years young and a whiz with her iPad! Way to go Mercedes!! One thing is life in certain…every 24 hours we will all be one day older than we are today. There is no treatment or medicine for aging and nothing can “fix” this. It cannot be avoided or controlled, no matter who we are or what we may have. 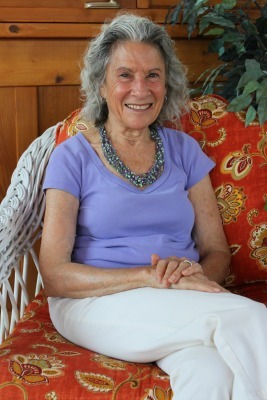 Perhaps the only thing we can control is what quality of life we want to have as we age. 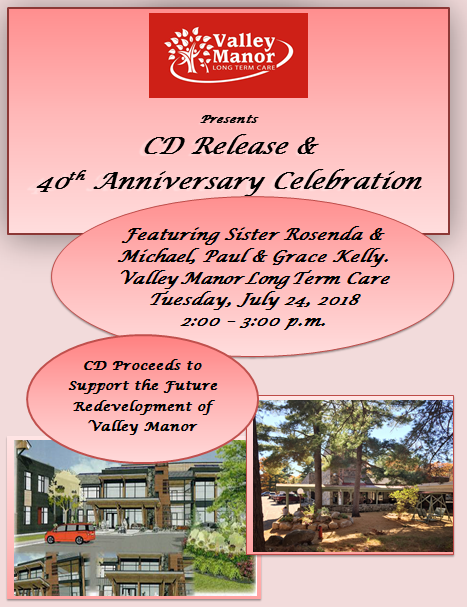 Since opening its doors in 1978, the Valley Manor has provided compassionate care and quality of life to 90 residents, giving them a home away from home and helping to support family members who are no longer able to care for their love ones. Having a long term care facility like the Manor in our backyards is crucial so that we can continue to serve our large senior population, and keep them in them in their home town where they are familiar and family can continue to be a big part of their lives. 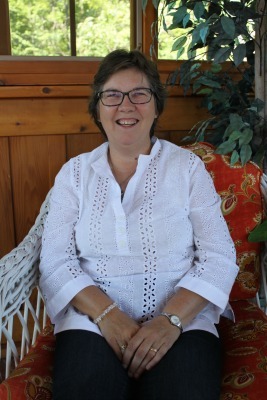 We are all excited about the current plans to redevelop the Valley Manor at a new and more accessible location right beside the St Francis Memorial Hospital and Madawaska Valley Hospice Palliative Care Program . 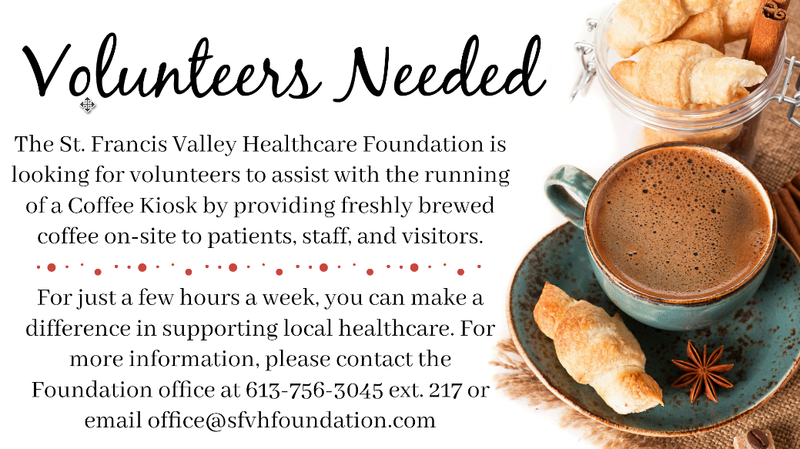 Contact the Valley Manor (613-756-2643) for more information or call us at the Foundation about our upcoming plans to support this very important project. Formerly the St. Francis Memorial Hospital Foundation, our mission is to advance health care for patients and families in the Madawaska Valley by raising funds to support the facility and capital equipment needs of our non profit healthcare organizations, namely the St. Francis Memorial Hospital, Madawaska Valley Hospice Palliative Care, and Valley Manor Nursing Home. Although the province funding structure provides for the day to day operation of our health care organizations, capital and building needs are not included in the funding structure . 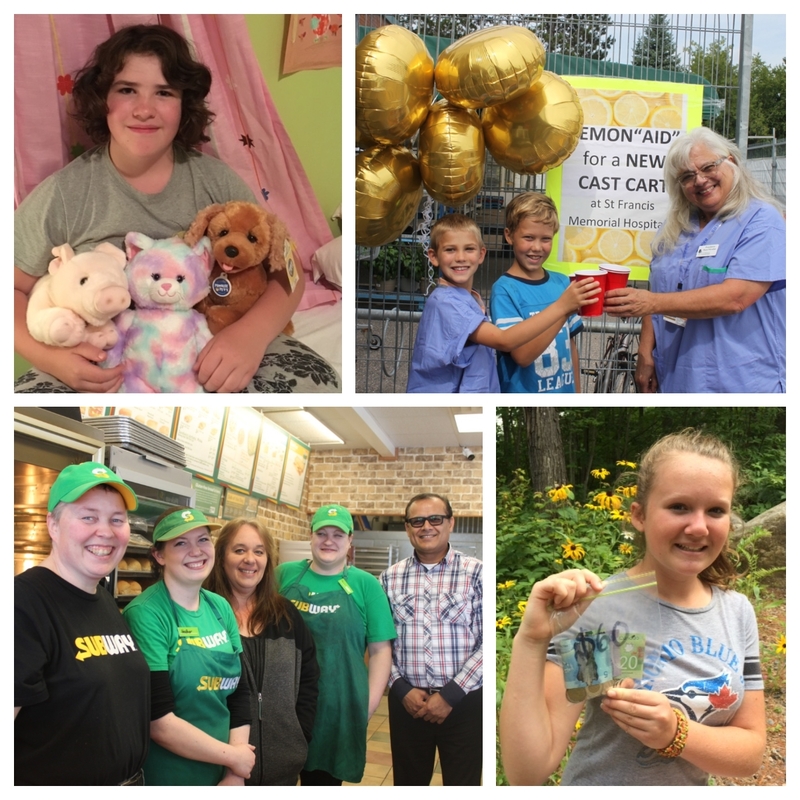 These organizations rely on the Foundation to raise the funds necessary for their needs in order to continue to provide our patients and their families with the best possible care, close to home. The SFVH Foundation is located at the front entrance of the St. Francis Memorial Hospital. Drop in visits are encouraged and welcomed!! Our office is open Monday to Friday from 8 a.m. to 4 p.m. Donations can be left at the front desk or our drop box or by donating securely on line through this website. Alternatively you can give us a call and we will be pleased to assist you! It was a great day on the course for our 14th Annual Friends of St Francis Golf Tournament! Thank you to our many sponsors, participants and volunteers for your generosity! Check out the following video for some highlights from the day! How can an ordinary person be a part of ensuring an extraordinary gift by making a donation in their will? It's simple! Creating a gift in your Will for local healthcare is the simplest way to create a legacy of everlasting care. Legacy gifts provide vital, stable support for the work of our healthcare teams and whether your estate is large or small, you can make a difference for so many patients and families in our communities, and provide quality care for years to come. Even a gift in your Will of 1% of your estate can make a difference. 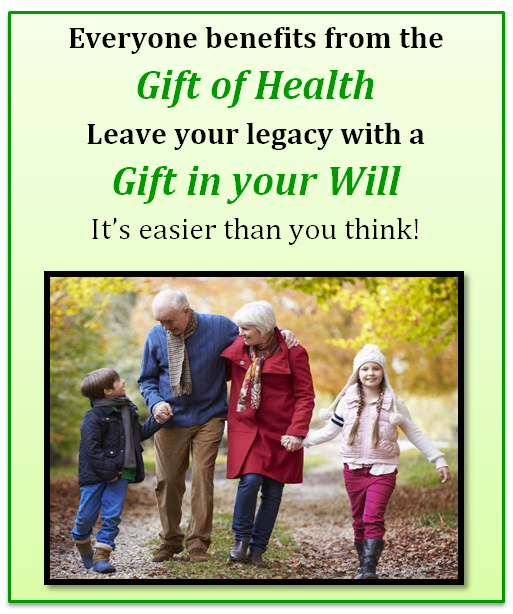 In some ways, leaving a gft in your Will might also allow you to leave a larger gift than might have been possible during your lifetime. Our community healthcare legacy has been built with the help of gifts made years ago by forward thinking individuals who included SFVH Foundation in their estate plans. 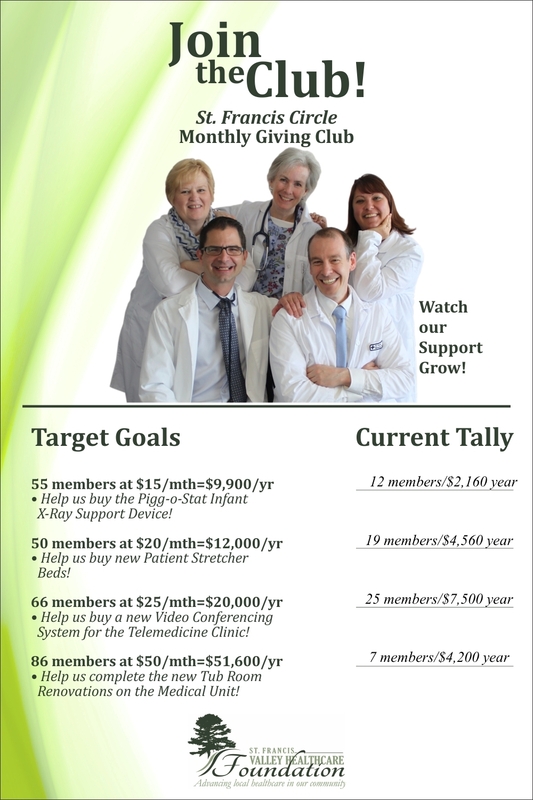 You can be part of this legacy team by considering making a gift in your Will for the future. We would be very pleased to know if you have named the SFVH Foundation in your estate plans so that we can express our personal gratitude and ensure you receive the recognition you deserve. We will hold the information in confidence should you wish to keep the gift confidential. 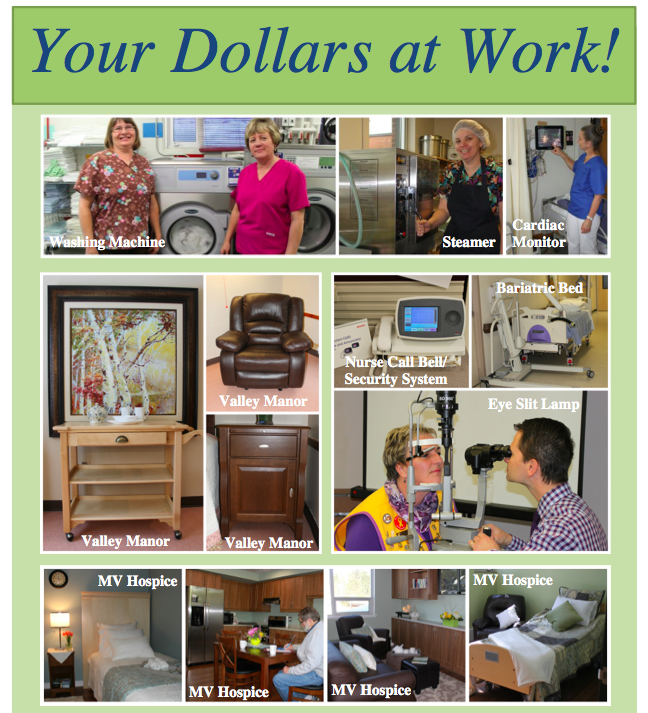 Leaving a future gift to the St. Francis Valley Healthcare Foundation is easy! 1. Tell your family that you would like to make a gift to the St. Francis Valley Healthcare Foundation in support of local healthcare. 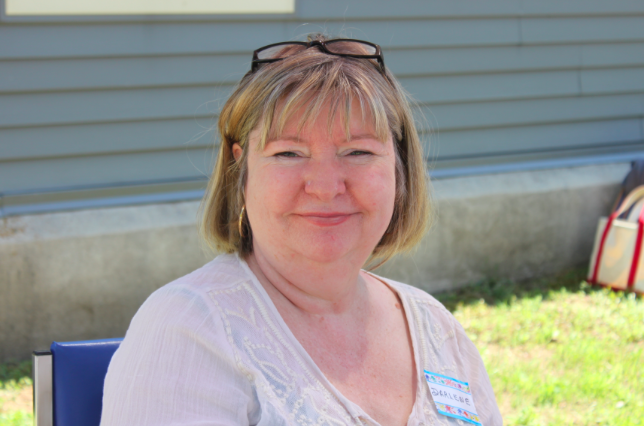 "I direct my trustee(s) to pay the St. Francis Valley Healthcare Foundation, Barrys Bay, ON the sum of $___ (or____% of my estate or the gift of ___) to be appliesdas determined by the St. Francis Valley Healthcare Foundation's Board of Directors." Plan your own event or make us your charitable partner for an existing event! 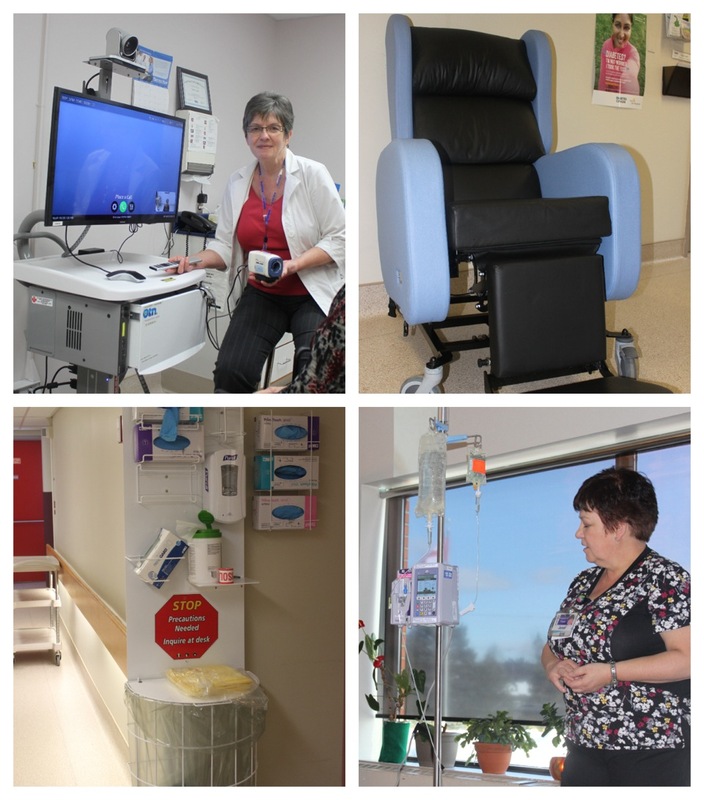 You can help us raise money that will assist the St. Francis Valley Healthcare Foundation to continue its efforts to provide equipment and outstanding local healthcare services at the St. Francis Memorial Hospital, Madawaska Valley Hospice, and Valley Manor. Every little bit helps and we appreciate your efforts. Thank you! When it comes to event ideas, the opportunities are endless. We’ve started this list to get your creative juices flowing. Feel free to use some of these ideas or make your event entirely your own! Get to know the St. Francis Valley Healthcare Foundation. People are more likely to donate when you can clearly articulate why a cause is important and why you need their support. Visit our website to learn more about us. Form a volunteer event planning committee. If your planning committee has enough members to share tasks and a variety of skills & experience, you will have the right formula for a winning event. Create a work plan (and budget if necessary – an organized event is a successful event). Be sure to research whether your event will require any special permit, licenses, and/or insurance. Have a back-up plan. Make sure you have a ‘plan B’, especially if your event is dependent on factors like the weather. Recognition- We are pleased to make arrangements with local newspapers to cover the event and/or if possible be present for cheque presentations. Please contact the Foundation if you have any questions regarding tax receipts. Eye-catching flyers, tickets, & other promotional materials will help make your event a success. The correct usage of the St. Francis Valley Healthcare Foundation’s name or logo is very important to us. Foundation staff will be available to work with you to approve the use of the name and logo prior to the event or distribution of materials. 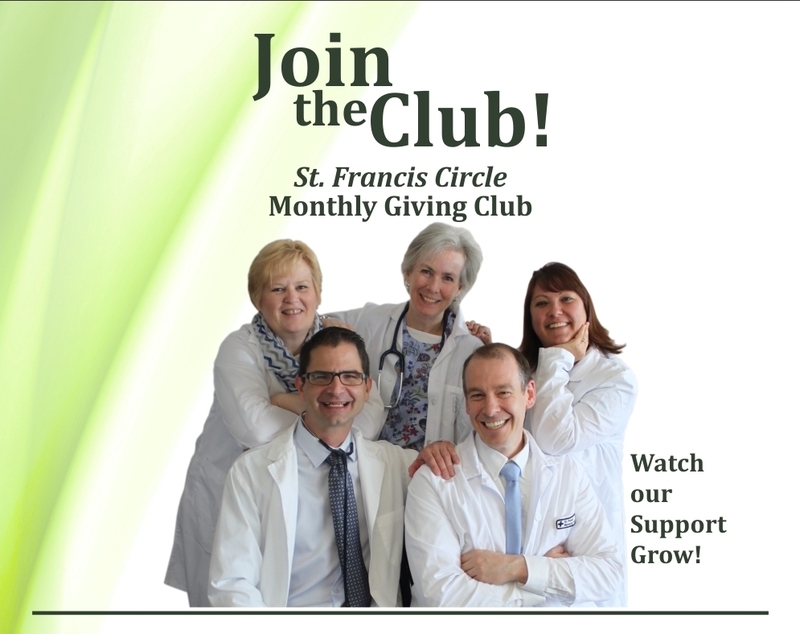 All promotional materials should make clear, where applicable, that the funds are being raised in support of the St. Francis Valley Healthcare Foundation rather than by the St. Francis Valley Healthcare Foundation. Thank you for your interest in hosting your own fundraising event on behalf of the St. Francis Valley Healthcare Foundation. Every little bit counts and we appreciate your efforts to help us raise money to support local healthcare in your community. 613-756-3044 ext. 217 or office@sfvhfoundation.com. It was wonderful to celebrate the generosity of our community supporters and to honour the many special people who will be remembered with bulbs on our Tree of Lights this year. Thank you to the many volunteers and supporters who helped to preapre for our Christmas Campaign and for helping to make the tree lighting such a fun and special night! How can an ordinary person be part of ensuring an extraordinary gift by making a donation in their will? It's simple! Creating a gift in your Will for local healthcare is the simplest way to create a legacy of everlasting care. 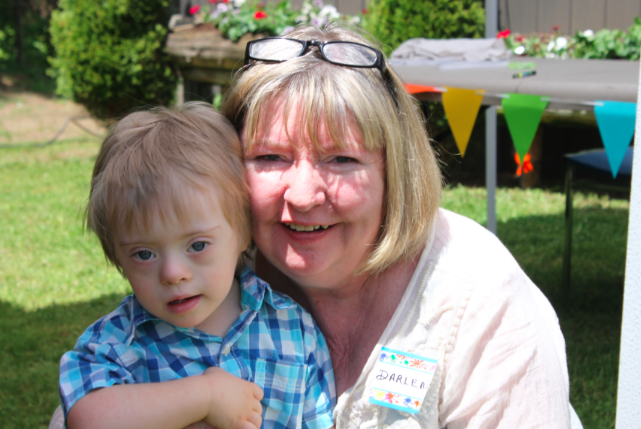 Legacy gifts provide vital, stable support for the work of our healthcare teams and whether your estate is large or small, you can make a difference for so many patients and families in our communities, and provide quality care for years to come. In some ways, leaving a gift in your Will might also allow you to leave a larger gift than might have been possible during your lifetime. Our community healthcare legacy has been built with the help of gifts made years ago by forward thinking individuals who included SFVH in their estate plans. 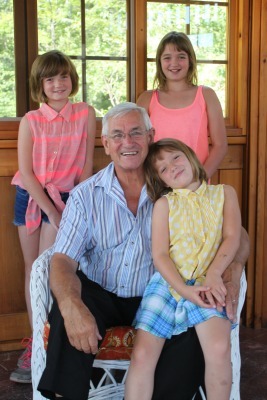 You can part of this legacy team by considering making a gift in your Will for the future. "I direct my trustee(s) to pay the St. Francis Valley Healthcare Foundation, Barry's Bay, ON the sum of $___ (or ___% of my estate or the gift of ___) to be applied as determined by the St. Francis Valley Healthcare Foundation's Board of Directors." More often than not, you have experienced one of our volunteers, caregivers, or staff go the extra mile to ensure either you or a loved one has just what you need. Perhaps the receptionist has gone out of their way to help you with a phone call, the administration office assisted you to get the information you need quickly, a volunteer helped you at the door and gave you that smile you needed, or the great care staff at our healthcare organizations provided you or a family member with extra special care when you needed it most. We are so very proud of everyone who makes up our community's wonderful healthcare team! 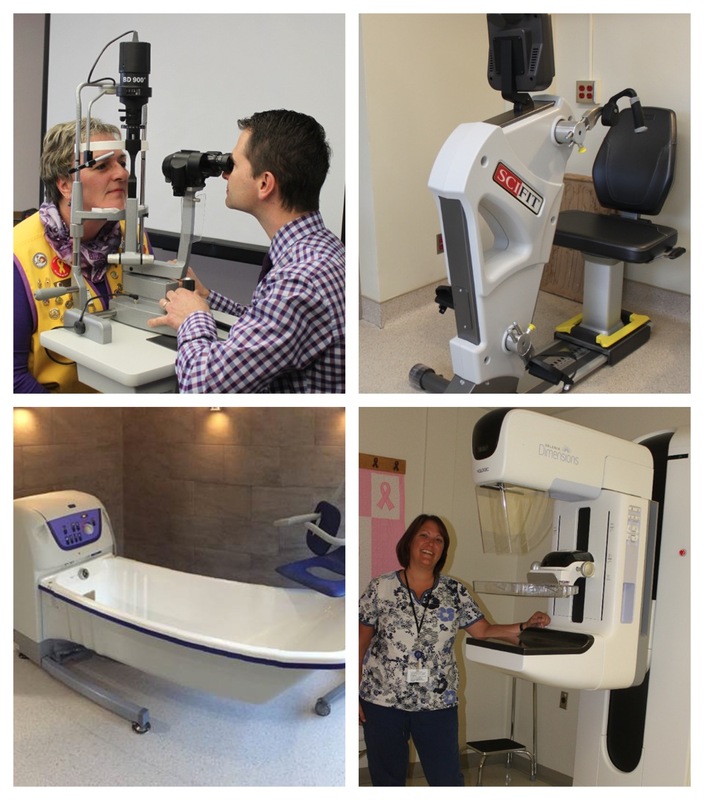 The Guardian Angel program allows you the opportunity to show your appreciation for exceptional and compassionate care in a meaningful way that helps us change and save lives by ensuring our caregivers have the equipment and facilities they need to provide you with the best possible care. And... Your Guardian Angel will be presented with our unique Angel pin to wear with pride. Your kind gift, of any size, will be used for the most urgent community needs at our healthcare sites (St. Francis Memorial Hospital, Valley Manor and MV Hospice Palliative Care. 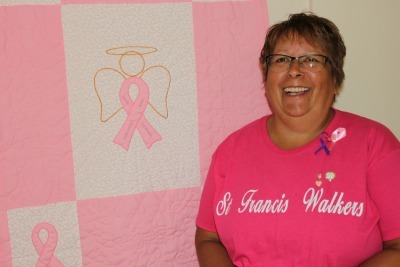 Nominate your Guardian Angel today by contacting the St. Francis Valley Healthcare Foundation. We'll ensure they know just how much they are noticed and appreciated! Thank you for helping keep local health care strong in our community by honouring your Guardian Angel! 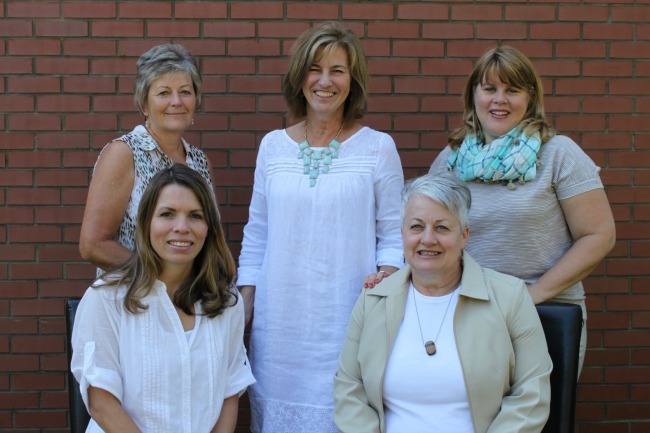 Meet Some of Our Guardian Angels! Give the Gift of a LIFE LINE this Christmas and help buy 15 new IV PUMPS for St Francis Memorial Hospital! When you give to the Tree of Lights Campaign this year you will not only have the opportunity to honour or remember someone special with a bulb to help light the Tree, you will also make a difference for patients who depend on IV Pumps for so many things. IV Pumps are used every day for patient care in the Hospital, delivering medications like insulin, antibiotics, and pain relievers as well as critical fluids & treatments for cardiac episodes, traumas and blood transfusions. They truly are life lines! IV Pumps are one of the most critical pieces of equipment physicians depend on when it comes to care - they cannot look after us effectively without them! 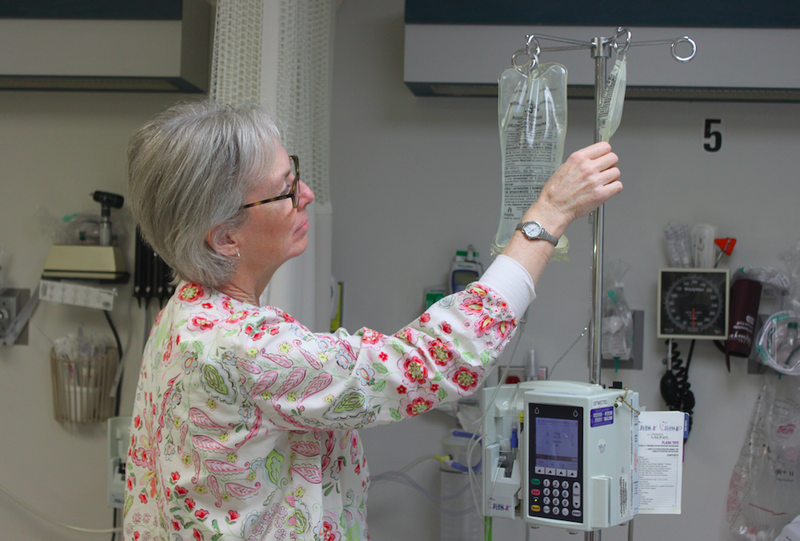 What impact will new IV Pumps make for patient care? The Hospital needs 15 new IV Pumps to help serve the growing number of patients and meet their complex healthcare needs. This holiday season, we will all depend on the Hospital to be there for us 24 hours a day, 7 days a week, ready and equipped with critical equipment like IV Pumps to ensure we get the care we need. 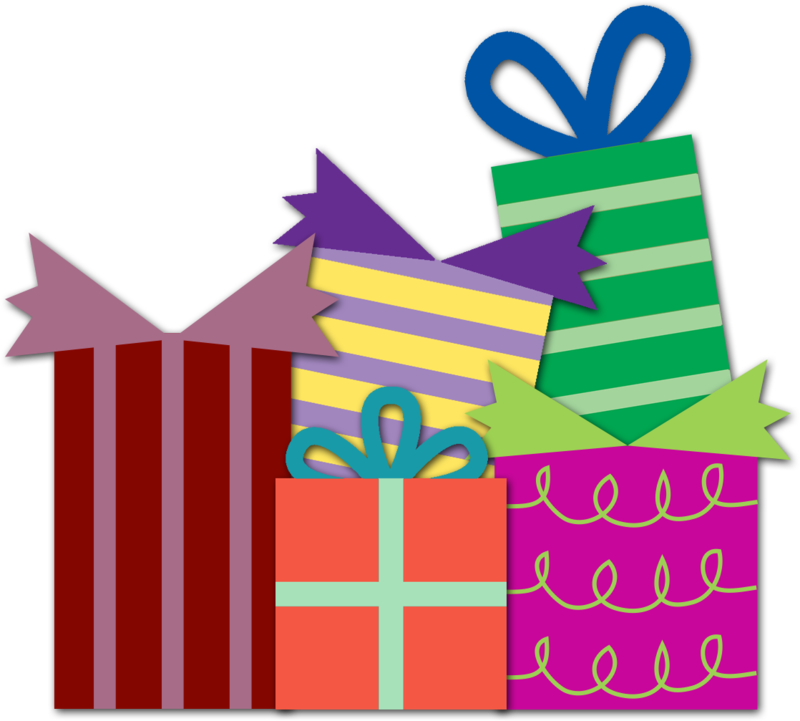 Your thoughtful gift will ensure that the Hospital can do just that! Thank you for the difference your donation will make to local healthcare! We will supply you with a special letter that you can present to them as your gift! If you would like further information about this Campaign or assistance making your donation, please contact us at 613-756-3045 ext 217 or drop by our office just inside the front doors of the Hospital. We'd love to hear from you! *Remember - our Campaign is open until the end of December! Thank you for considering a gift to the St. Francis Valley Healthcare Foundation to support the delivery of high quality healthcare in our community. ​For further information about any of our programs, please contact SFVH Foundation at 613-756-3045 ex 333. 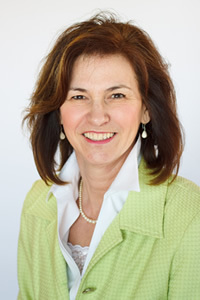 If you are interested in making a difference for local healthcare in your community, please contact Darlene Sernoskie at 613-756-3044 ext. 217. 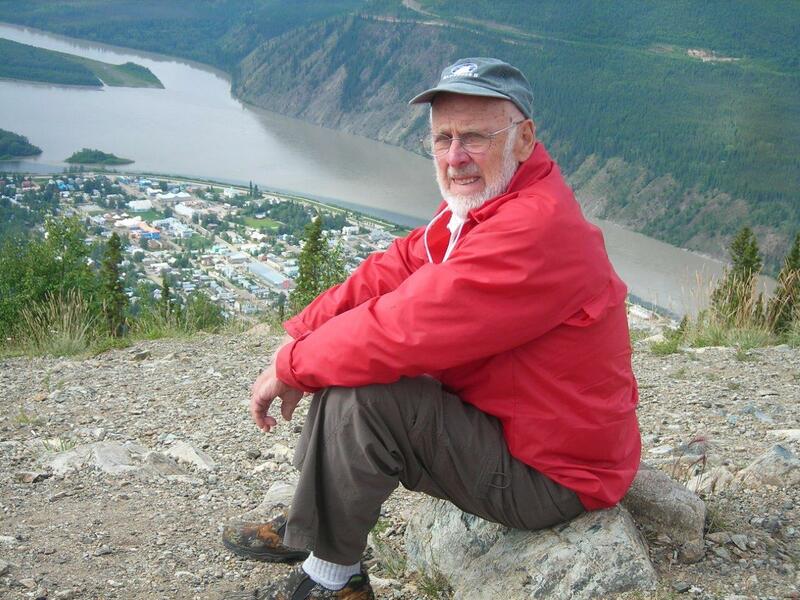 Making an In Memoriam or Tribute donation to the St. Francis Valley Healthcare Foundation is a meaningful way to pay tribute to a loved one, friend or neighbour while giving the gift of health. Acknowledgement of your gift is sent to the family by way of a memorial card. You may also want to support this program by letting the funeral home know that you would wish to direct all memoriam donations to the St. Francis Valley Healthcare Foundation. 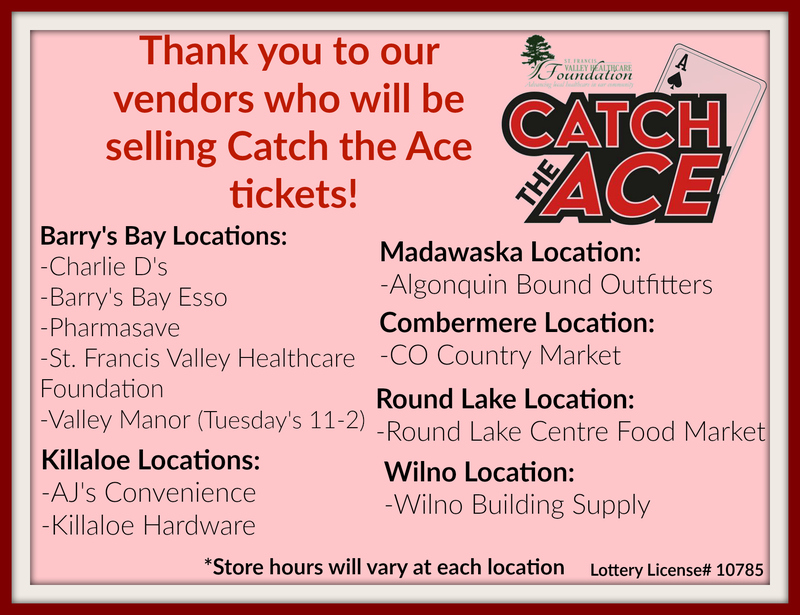 This helps your friends and family know of your wish to support the needs of St. Francis Memorial Hospital, Madawaska Valley Hospice, & Valley Manor. Gifts can be made at the funeral home or directly through the Foundation office as well as online. Please call the Foundation office for more information (613-756-3044 ext. 217). It was an excellent day on the lake for the 5th Annual KAPOA Poker Run. An amazing $13,445 was raised with all proceeds going toward the purchase of 2 new patient Stretcher Beds for the Emergency Department at St Francis Memorial Hospital. Thank you to all who participated and very special thanks to the volunteer organizers for their hard work and dedication to making this event a success each year. 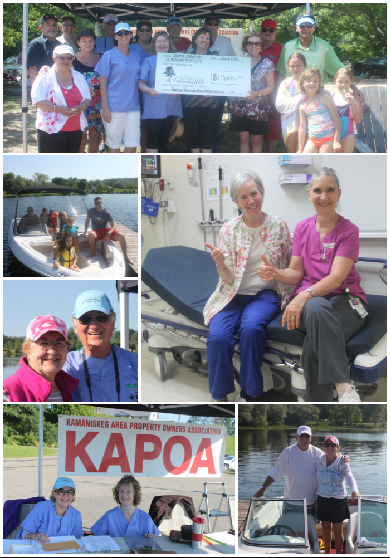 Over the past 5 years, KAPOA has raised an amazing $50,509.00 in support of local healthcare- wow! Great to work on behalf of our great Hospital with all of you! This beautiful mural is a depiction of the view of Lake Kamaniskeg from our activities room in the hospital from the eye of the artist, Donnie Burchat of Wilno. The elements on the mural are made from the many different types of wood native to this area. Elements like leaves, trees etc are engraved as a way of honouring or remembering someone special. 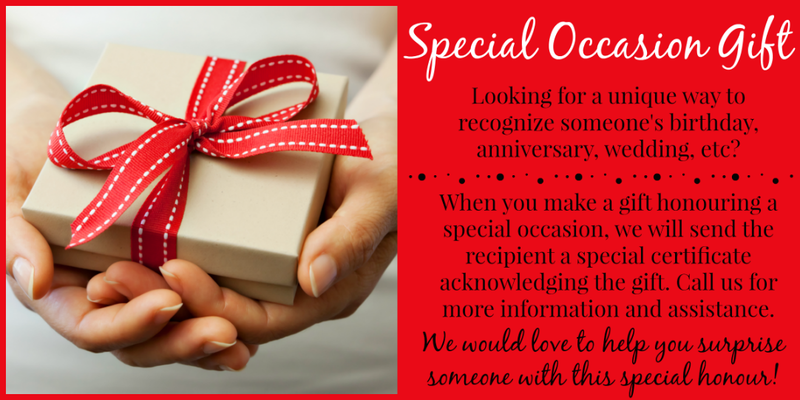 They can also be purchased for special anniversaries, birthdays etc. The Foundation allows for In Memoriam donations to be used by family members towards the purchase of an element in appreciation for their support of the Hospital by directing In Memoriam gifts to the hospital. For more information on any of our programs, please contact the Foundation office at: 613-756-3045 ext 217. When you give a donation to the St Francis Valley Healthcare Foundation you are making an impact on local healthcare in our community, helping provide care givers from the St Francis Memorial Hospital, the Valley Manor and Madawaska Valley Hospital Palliative Care with the tools they need to look after precious patients and their families. Thank you for choosing us as a charity worthy of your support! We could not hope to do the work we do without you as our partner. Every kind gift, no matter the size, is important to us and makes an impact on continuing to have local healthcare in our community, close to home, where we need it most. There is always something happening in the community to help support our Hospital, Hospice and Valley Manor. Whether it's a concert, raffle, ticket draw or a special fundraising event hosted by the Foundation, there are many opportunities for someone to get involved in helping community healthcare. Office is open Monday-Friday from 8-4. Drop by any time!